A protester donned what a judge said looked like a medieval straight jacket to protest against fracking. Edward Thornton, 33, of Middleton Hall, Richmond, North Yorkshire, was one of three men and a woman found guilty of failing to stop protesting when ordered to do so by a senior police officer under Public Order Act laws. District Judge Jeff Brailsford delayed his judgement and sentencing of the four defendants following a two day trial last month, until yesterday. The others are: Jared Dunne, 22, of Manchester Road, Warrington; Louise Hammond, 54, of Cedar Avenue, Scunthorpe,and 43-year-old Joseph Boyd of Blyth Hey, Bootle. The court heard how the four had staged a “locked on” protest outside the gas drilling site run by Cuardrilla. They had locked themselves together across the entrance of the site on the A583 road. They covered their arms in tubes encased in concrete and metal so they could not be cut free quickly. When they were arrested for failing to obey the instructions of Insp Chris Hardy it took two hours by a specialist police unit to free them using cutting gear. Giving his verdict the judge told them: “The entrance to the site was chosen by you. You were surrounded by supporters some called legal observers, otherwise known as possible witnesses. “They took pictures and video footage of everything and anything while you were locked into what looks like some sort of medieval straight jacket. “The police officer said he was making a public order notice to move both through a megaphone and to you individually. I find it hard to believe that one of you said he slept through it all. “Then there was a five step appeal by officers to each of you – a final attempt to bring matters to an end. The judge said he accepted the protest had caused disruption to traffic on a major road and Cuadrilla’s ability to go about their normal business. Adam Bonney, lawyer for Thornton, said that his client was not employed but was supported by his family. They were each given a 12 month conditional discharge and must pay £270 costs each. In another hearing 20-year-old Callum Eden who lives at the protest camp at Whitehills, was found guilty by Judge Brailsford after a trial of obstructing a police officer at Kirkham. Eden, who was described as having a nomadic lifestyle and who has no income from work or benefits, was given a 12 month conditional discharge and ordered to pay £270 in court costs. A mother-of-three was twice caught driving with more than three times the legal limit alcohol in her body. Rachel Prime was reported to police on the second occasion by her partner a court was told. Prime, a 41-year-old care worker, of Lindale Gardens, South Shore, pleaded guilty to two offences of driving with excess alcohol. 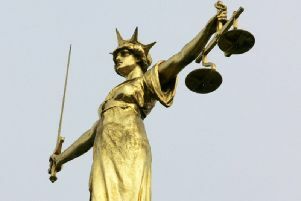 She was sentenced to an 18 weeks prison sentence suspended for 12 months with up to 20 days rehabilitation to be supervised by the probation service, banned from the road for three years and ordered to pay £85 costs with £115 victims’ surcharge. Prosecutor, Pam Smith, said police received a tip-off on May 20 at 8.10pm that a drink-driver was in a Citroen C3 in St Annes. Police saw her driving along Todmorden Road on the wrong side of the road. A breath test showed 122 micrograms of alcohol in her body - 35 is the limit. On June 10, while on bail, Prime was drinking at home and became aggressive. Her partner of 21 years said he wanted her to leave because the children were in the house. Prime said she would go to her parents and drove off but returned in the car to the house several times afterwards. The police were alerted and a breath test on Prime showed 107 micrograms of alcohol in her body - the legal limit is 35. In a report to the court, probation officer Lesley Whittaker, said Prime had admitted her alcohol problem had become significant over the past seven months and she had binge drunk because of low moods over family concerns. Kathryn Jamieson-Sinclair, defending, said: “My client’s partner was the one who reported her to the police. “She appreciates it was out of concern for her and so she could receive some robust help. A drink-driver crashed into a parked car and his vehicle rolled onto its roof. Lee Cross managed to crawl out of the wreckage and was treated by an ambulance crew who alerted police to their suspicions he had been drinking. Cross, 20, of Maplewood Avenue, Preesall, pleaded guilty to driving with excess alcohol. He was banned from the road for 12 months and fined £250 with £85 costs plus £30 victims’ surcharge. Prosecutor, Pam Smith, said an ambulance crew came across an accident where Cross’s Seat Ibiza had collided with a parked vehicle on Blackpool’s North Park Drive, on May 11. He was arrested about 1am and taken to Blackpool Victoria Hospital. After being discharged a breath test was done at the police station which showed 53 micrograms of alcohol in his body - 35 is the limit. When interviewed Cross said he had drunk two pints of strong lager and half-a-bottle of mixed fruit cider before driving off to meet his girlfriend. He added he knew he was over the limit, but he did not feel like he was drunk and could not drive. Cross, who had no previous convictions, told magistrates: “I’m sorry. I made such a stupid mistake.